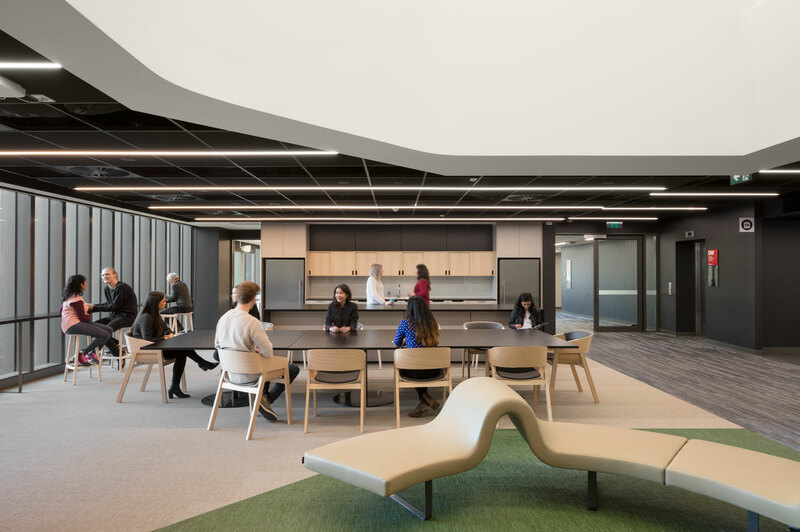 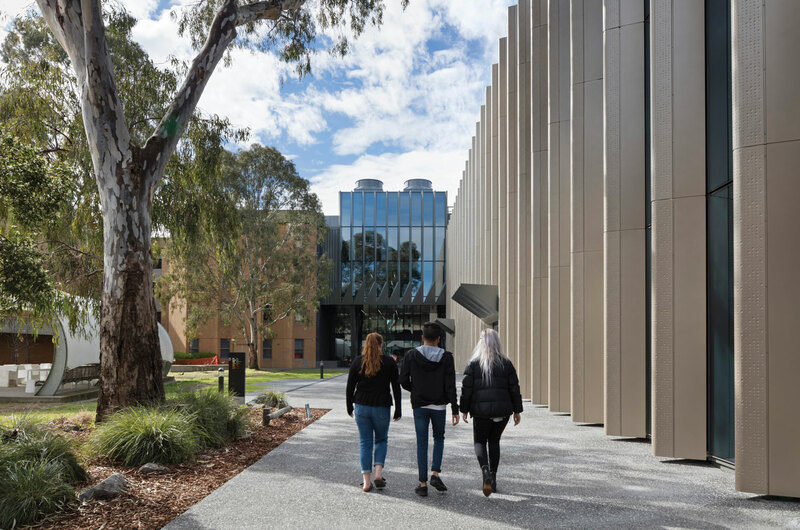 Hayball is working with La Trobe University to help unite and reshape the eastern sector of the Melbourne campus in Bundoora as a beacon of research, learning and cultural activities. 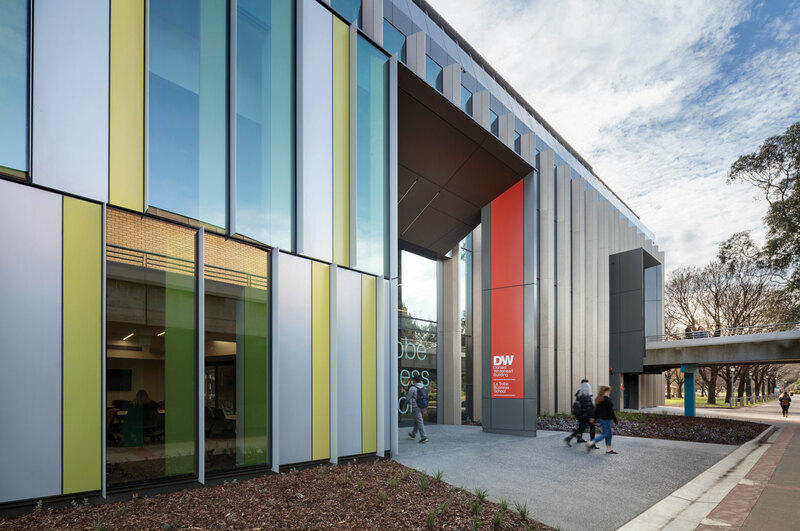 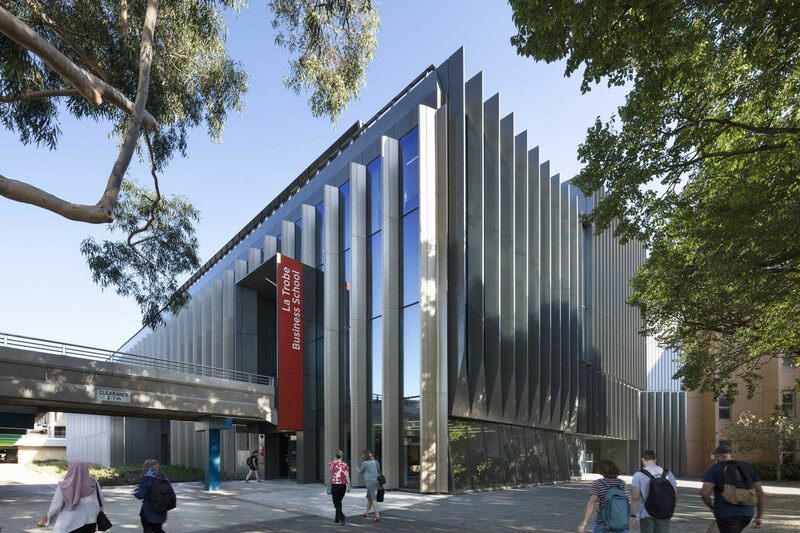 The Eastern Campus redevelopment (ECR3B) is a precinct upgrade for the La Trobe Business School involving the refurbishment of three buildings and a new Link building for seamless transition within one facility. 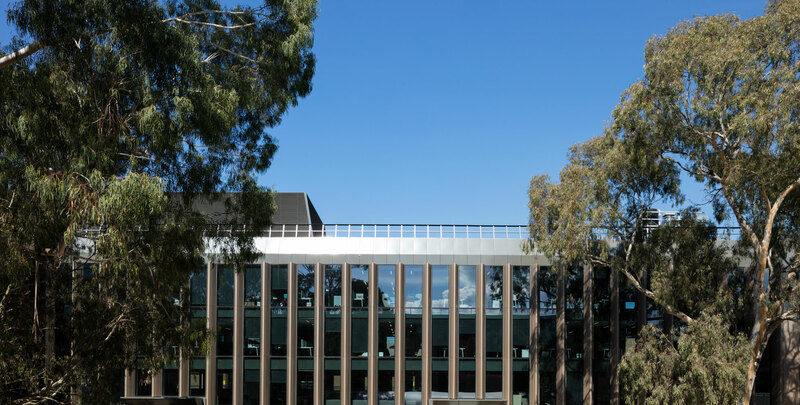 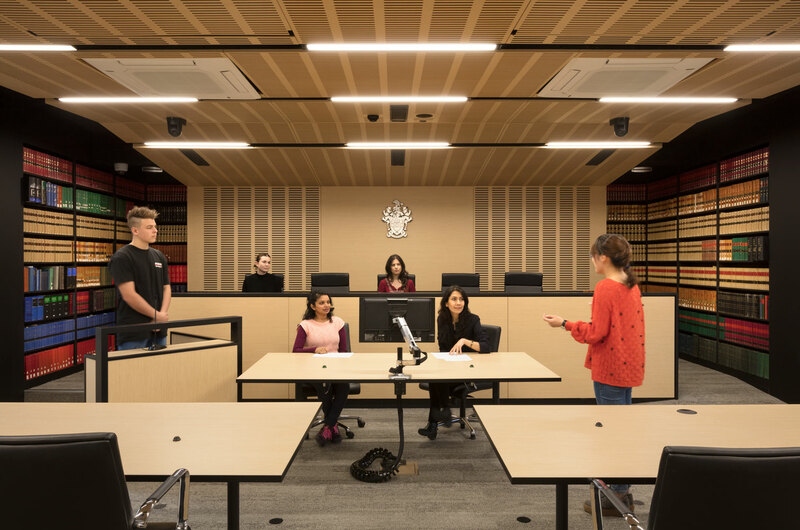 Supporting rapidly changing research and teaching practices, the refurbishment of the Donald Whitehead Building centred around the adaptive re-purposing of one of the Melbourne campus’s seminal buildings. 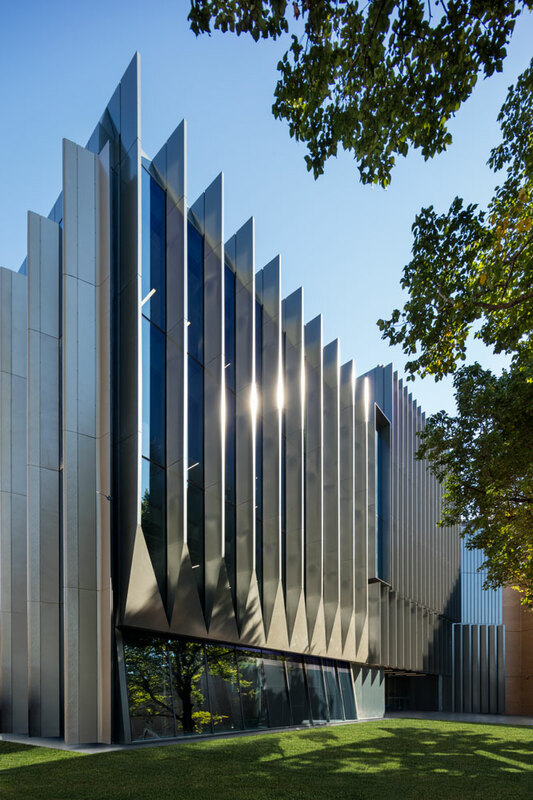 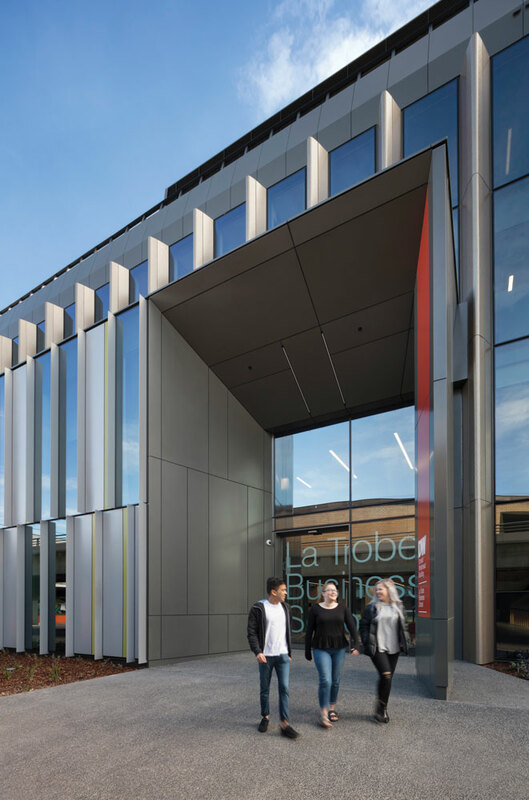 Accommodating the La Trobe Business School, the design comprehensively arranges tertiary educational, research and workplace domains, integrated within a new external facade. 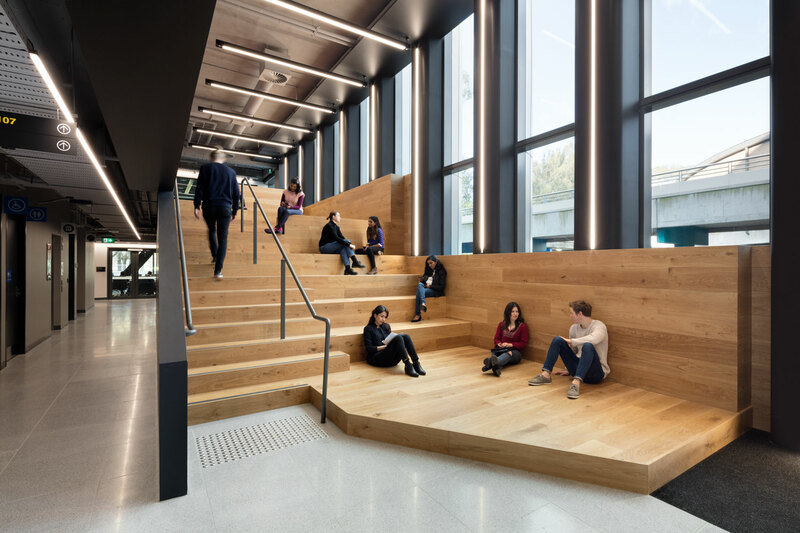 Emerging from this came a revived relationship between the building’s interiors and exterior, as well as with the university’s original masterplan by Sir Roy Grounds, with its bush landscape and Australian eucalyptus trees. 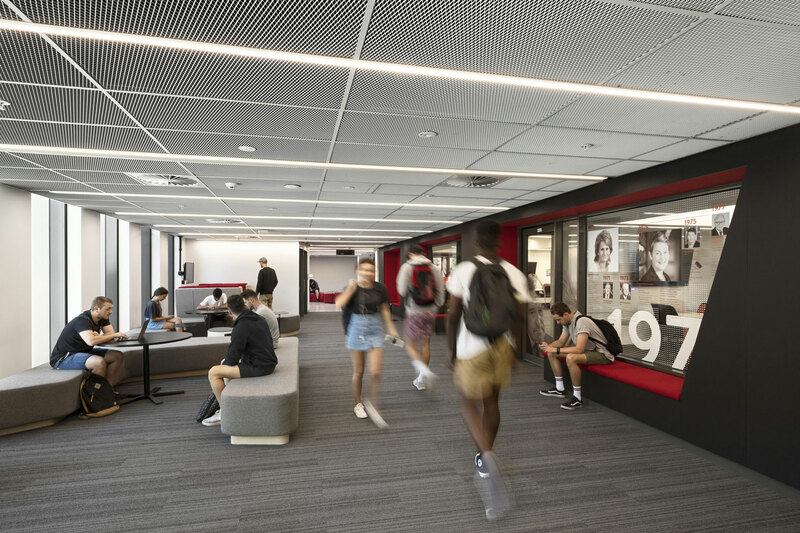 The project provides new work spaces for academic and administration staff, spaces for post graduate students and learning spaces for expanded and flexible learning, and which support socialisation, interaction and opportunities for curriculum innovation. 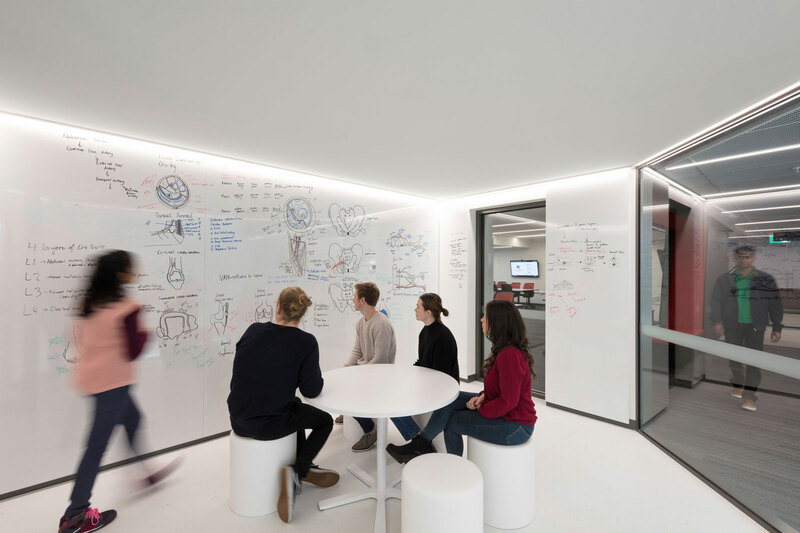 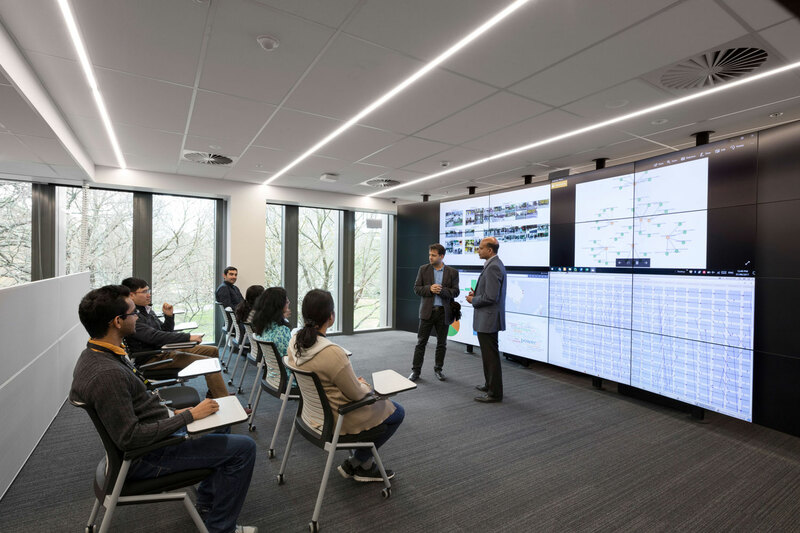 Specialist and research spaces include a simulated financial trading room, a social innovation lab, an analytics lab and a Yunus Social Business Centre.